This yacht exhibits the perfect craftmanship and attention to detail from bow to aft. 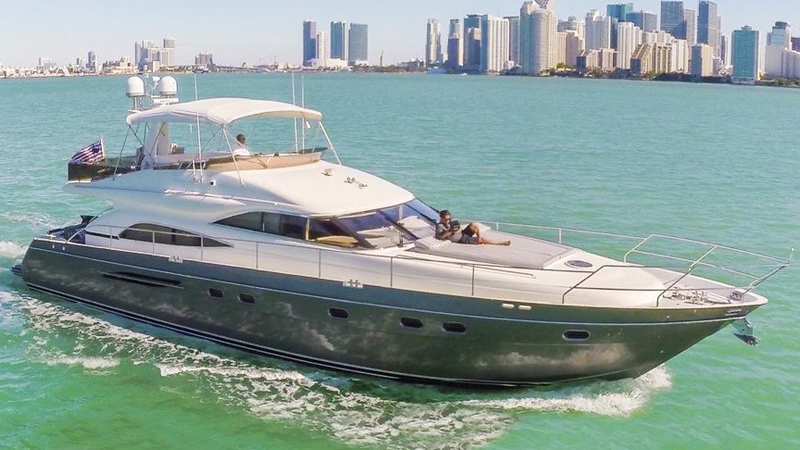 The yacht is very well kept and carefully maintained by the owner who is attentive to every detail. Whether you are looking for a day trip or a long term cruise, you and your guests will defitntly be comfortable. 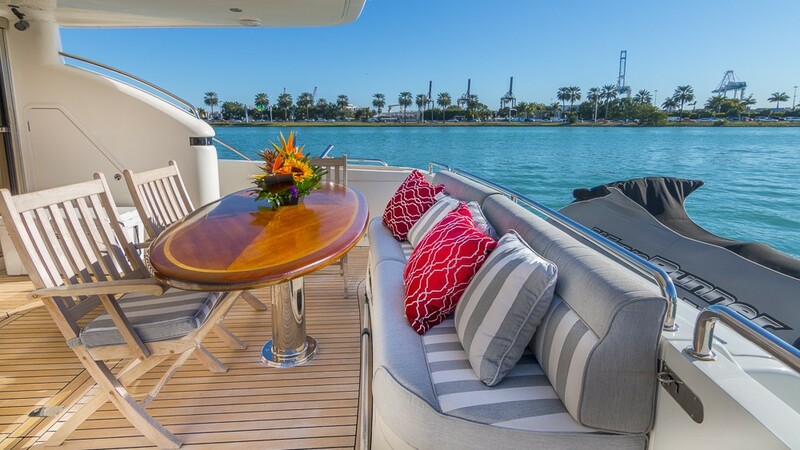 This 65′ Princess includes a barbecue grill on the fly bridge and several dinning options for 6 guests. You and your guests will disemabrk happy from this luxurious vessel!